Carbon County Public Health's mission is to promote, uphold, and enhance the overall health and well-being of Carbon County for the benefit of current and future generations. As a dedicated service to the community, we strive to ensure the people of Carbon County have a safe, private, and qualified place to meet their individualized health needs. 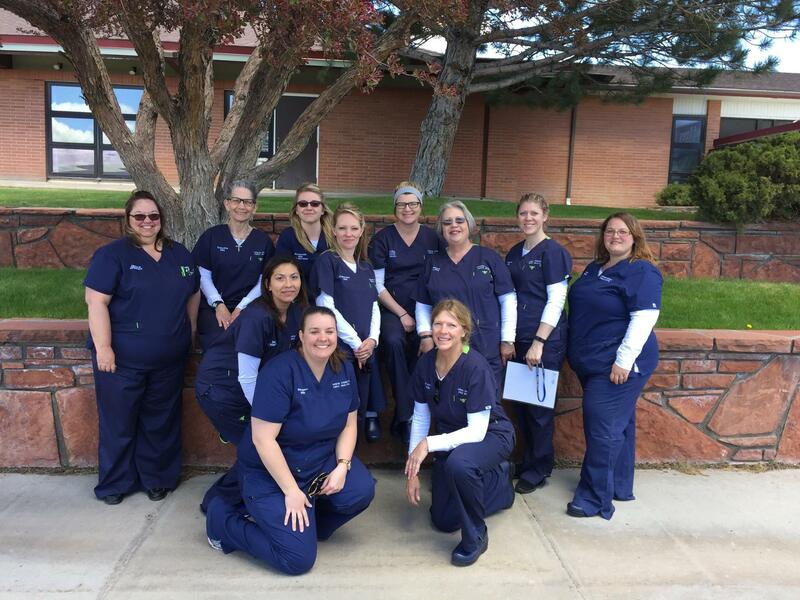 With a fully dedicated and well- educated staff, Carbon County Public Health offers both direct and population based public health nursing functions. Please visit us on our facebook page! Western Wyoming Reproductive Health is now located in our office. Call 307-328-2706 or 307-362-6813. 1) Maternal and Child Health- Nurses provide an array of services to pregnant and post-partum moms and children, including Healthy Babies Home Visitation Program and Children's Special health case management services. 2) Nursing Home and Medicaid Long- term waiver Pre- admission Eligibility (LT101)- Public Health Nurses assess a client's functional level of appropriate placement in a nursing home, an assisted living facility, or if they can live safely in their home. 3) Chronic Disease prevention, Education and Management- This function includes adult health clinics and in some cases, limited home services providing direct prevention and monitoring. 4) Communicable Disease Prevention- This function includes immunizations; tuberculosis screening, testing and follow-up; infectious disease follow- up and investigation; sexually transmitted infection/ HIV/ viral hepatitis screening, testing, and follow-up; and HIV case- management. 5) Public Health Emergency Preparedness- Ensures that public health staff are knowledgeable and prepared to respond to bioterrorism and other public health emergencies. 6) Community Health Assessment and Planning- Public Health Nurses work with county hospitals and other stakeholders to identify barriers to the health and well-being of its residents and to implement a community health improvement plan. 7) Public Information and Education- Public Health Nurses provide classes and educational opportunities to the general public on a myriad of public health topics and issues. 8) Environmental Health Issues- Public Health Nurses work with local agencies to investigate issues which may be harmful to the county's citizens and provide follow-up support and education when possible. Click here to visit the Wyoming Department of Health website.